I'm here today because it's release time over at Some Odd Girl! Today's set is called Garden Mae and she's so fun and cute. Those big eyes get me every time! I kept the card design really simple because I wanted Mae to be the focus. 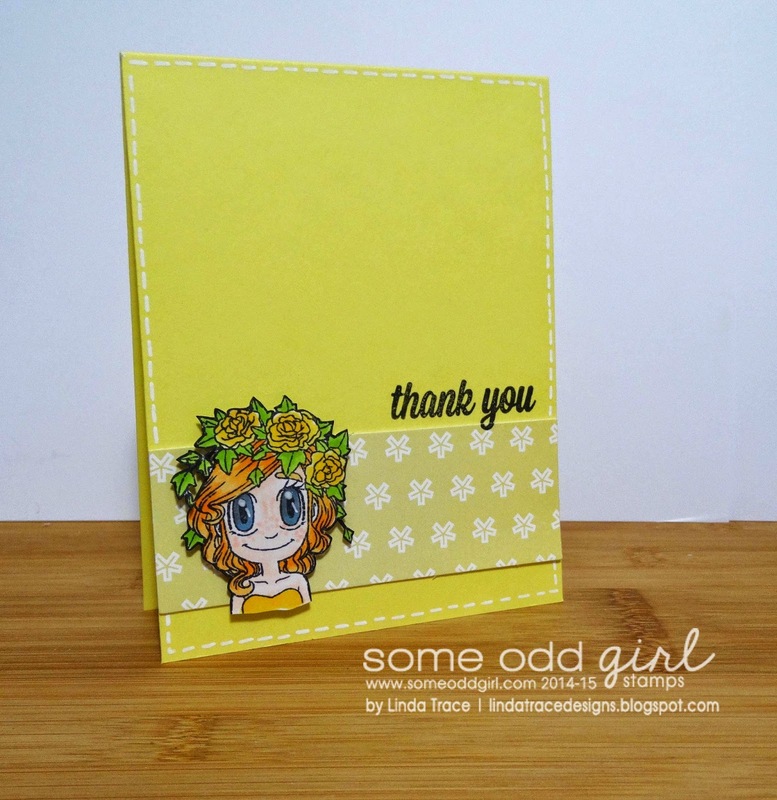 The pretty yellow patterned paper is from the Some Odd Girl Sunshine Sorbet paper pad. I hope you'll head over to the Some Odd Girl blog, to check out the rest of our creations--you should see what the DT have made to inspire you today!